The state government of Uttar Pradesh has taken many initiatives to increase the chances of employment for the people. With this aim, the new Gopalak Yojana has been launched in the recent times. Under the welfare scheme, the unemployed people who have interest in entering the milk production business will get the necessary financial assistance from the financial institutions. Reducing unemployment – As the state is suffering from the long standing problem of unemployment; this program will act as a counter measure. Its operation means an opportunity for the young and industrious individuals. Empowering the youngsters – When the youngsters of the state find appropriate employment, the overall financial condition of the entire state improves. The implementation of the scheme will seek empowerment for the people. Increasing milk production – The welfare program is based on animal husbandry and milk production. As more and more interested candidates take part in the scheme, the quantity of milk production will increase. Getting credit for the scheme – Starting a milk production by rearing animals is not easy. A lump sum is required for this and the economic and this money will be given to the dairy farmer as a credit, by the banks. Total amount of credit – It is highlighted in the draft of the scheme that the banks will provide a total of 9 lakh to each selected candidate to start and carry on the milk production business. Number of credit installments – The money will be provided in installments for better management. Overall, the person will get the full amount in five different parts. Number of animals required – As per the details of the program, any animal shelter can have animals that can range from 10 to 20. One must take good care of these animals. Creating the animals’ shelter – To get the credit from the bank, the person will have to gather Rs. 1.5 lakhs and it must be spend on making a proper shelter for the animals. Loan per year – It is mentioned in the draft of the scheme that each candidate will be given an amount of Rs. 40, 000 during every financial year, for a total of five consecutive years. Making the cattle shelter – When the candidates have been selected and he has already constructed the animal shelter, the bank will provide them with Rs. 1, 80,000 as per the scheme guidelines. First installment – Each dairy farmer will get an amount of Rs. 3. 60 lakhs as the first installment so that the money can be used for purchasing 5 animals. Second installment – The second installment will only be provided to the farmer if he is willing to purchase 5 more animals. If they are not interested in acquiring any more animals, then they will be barred from getting the second installment. Bonafied residents of the state – Keeping in line with the exclusivity of the program, the people who are bonafide residents of the state, will be able to apply under the scheme and get an opportunity of making a lucrative business. Poor and unemployed individuals – The scheme has been designed and developed for catering to needs of the unemployed individuals. The people who do not have jobs and come from a poor background will be able to apply. Interest in dairy production – Only those people will be funded by the banks who have a genuine interest in getting involved in the program and make a decent living out of milk production. Income related criteria – It has been mentioned in the draft of the scheme has an income related criterion. The total yearly income of the person and his family must not topple the 1 lakh mark. At least 5 animals – The bank will only provide the individual with the financial assistance if he will arrange the funds to construct the animal shelter and acquire not less than 5 animals. The money will then be given by the banks. Aadhar card – The attachment of the Aadhar card is a must for all applicants with the application form. The unique code will assist the officers in keeping tract on the progress of the program. Milk producing animals – There is no hard and fast rule about the kind of animals that the person can keep. There is only one condition and it states that the animal that is reared in the pen produces milk that can be sold commercially. Place to purchase the animals – The milk producing animals, which will be reared in the dairy farms, must only be purchased from the animal markets, registered with the state government. Health condition of the animals – When purchasing the animals, the person needs to make sure that the animals are in top health condition. It means that the milk they produce will also be of high quality. Insurance for the animals – As per the guidelines of the scheme, all animals will be insured so that the individual can meet the expense of their medical treatment if they fall ill. Residential papers – As only the people living in the state of Uttar Pradesh will be able to get the benefits of the scheme, all applicants must possess documents that can support the claim that they are residents of the area. Income certificate – As there is an income related criterion, an applicant needs to attach the income certificate of the family while applying for the credit from the banks. Caste certificate – In case the applicants fall under any special caste category, then the caste certificate also needs to be attached with the application form. Documents from the bank – As most of the financial support will be provided by the banks on a loan basis, it is mandatory that the person gets a proper document from the bank that says that he is not a defaulter of any previous loan. Recommendation letter – To start the dairy business, the applicant will require a recommendation letter. This letter will be issued from the respective department. Any person who is interested in the scheme will have to reach the office of the medical officer in the respective area and collect the application form. The form must be filled and submitted to the same person. Once the Medical Officer checks the form, it will be sent to the office of the Cattle Medical Officer. When the Cattle Medical Officer gets a list of interested candidates, then the list will be verified and forwarded. The selection of the candidates will be done by the President of CDO and the Secretary of CVO. These and the other departments will make the necessary verifications for making the final decision. Once the application is shortlisted, the candidates will be informed accordingly and they can approach the banks to get the loan amount. The state authority wants to provide the interested candidates with increased opportunities of self-employment. Apart from solving the glaring issues of less number of jobs, the scheme will have a positive effect on the overall production of milk and dairy products. With new avenues of income, the state will also be able to fill its coffers with more revenue generated within its borders. Under the Kamdhenu scheme, the Uttar Pradesh state government has announced to sanction the first installment of Rs 25 lakh. The funds will be released for the present fiscal year under this scheme.With the implementation the government aims at increasing the productivity of Milch Cattle. The state government has also set a provision of Rs 50- lakh for implementation in the scheme. The order was officially issued by the Animal Husbandry Department. Though Kamdhenu Yojana was not continued by Uttar Pradesh government, the authorities tried other similar projects for the development of dairy farming in this area. 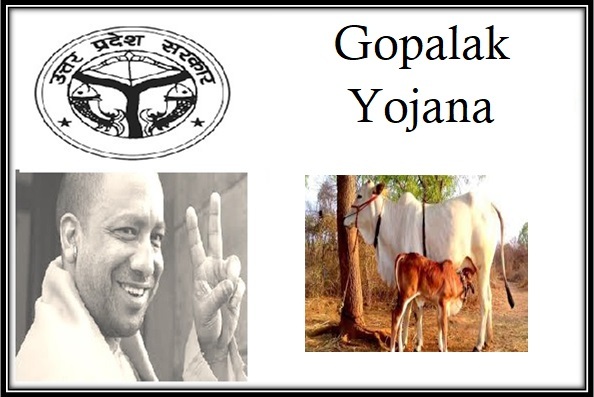 The state govt launched Gopalak Dairy Yojana. Under this scheme, interested dairy farmers will be able to purchase six animals to start their animal husbandry. This will not only increase milk production, but will also offer more money in the hands of such farmers.